The industrialisation of local textile manufacture that was transforming Manchester and Salford in the late 18th and early 19th centuries brought about more than just a revolution in production. The polarisation of class positions inherent in this new mode of production was manifest not only in labour relations but also in the spatial layout of housing. In the 18th century there were already country mills and bleaching and dye works in Pendleton but technological developments later in the century brought rapid change to the landscape. Abundant space; plentiful coal supplies; existing textile production; river water from the Irwell; an evolving canal network; the development of rail links in the mid 19th century, and in 1894 the opening of the ship canal and docks, all appear to have contributed to making the site highly attractive to entrepreneurs and merchants. 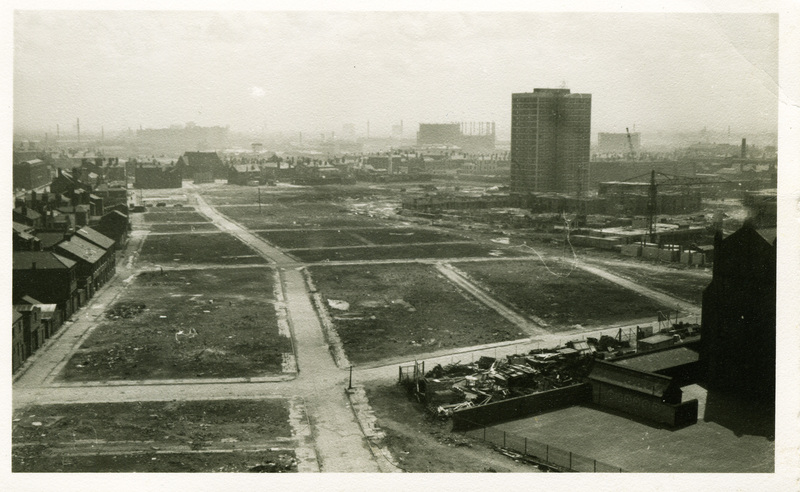 The meadows and crofts of Pendleton were replaced with factories and the inhabitants, their ranks swollen by migrants, lived in densely packed terraced houses, courts, and cellars clustered around their places of work. Without proper sanitation, water and ventilation these new districts became centres not only for poverty but also disease. Much of the development within the city dates from the industrial revolution and displays the normal characteristics of that period: narrow streets, closely built substandard dwelling houses interspersed with factories and workshops, little open space and schools on cramped and sunless sites (2). 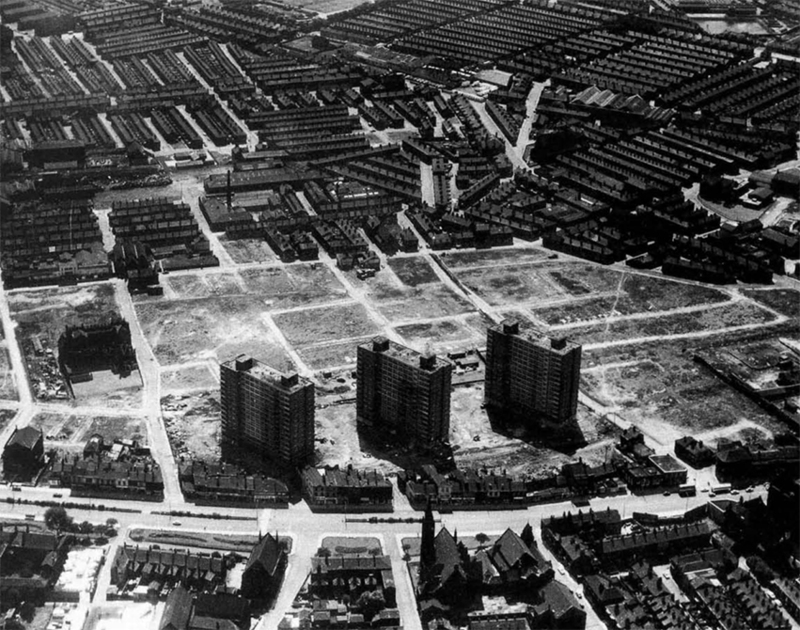 In the mid 1950s, Salford, like other local Councils in the U.K., began to involve itself with the task of “slum clearance” and re-housing the areas inhabitants. The redevelopment of the Pendleton area began with a large scale clearance and displacement of local people. The new legislation required the new redevelopment areas to adhere to certain specifications about the designated space between buildings and large open areas to ensure fresh air and sunlight reaching people to combat against disease. It also prohibited Councils building on green belt sites. This created what Glendinning and Multhesius refer to as ‘the land trap’ (3). To add to this for many local Councils the clearance schemes also meant the possibility of losing ratepayers to “overspill” sites if the evicted moved outside their boundaries. If homes were rebuilt according to this new housing policy then only a fraction of the people could be accomodated on the same area if redeveloped using conventional houses. As a result many Councils favoured high-rise solutions, which allowed them to cram as many individuals as possible into the existing reconstruction sites and perserve the same level of rateable income. The central government became worried however that these short term solutions would eventually lead to many new problems owing to their poor design and lack of civic amenities. 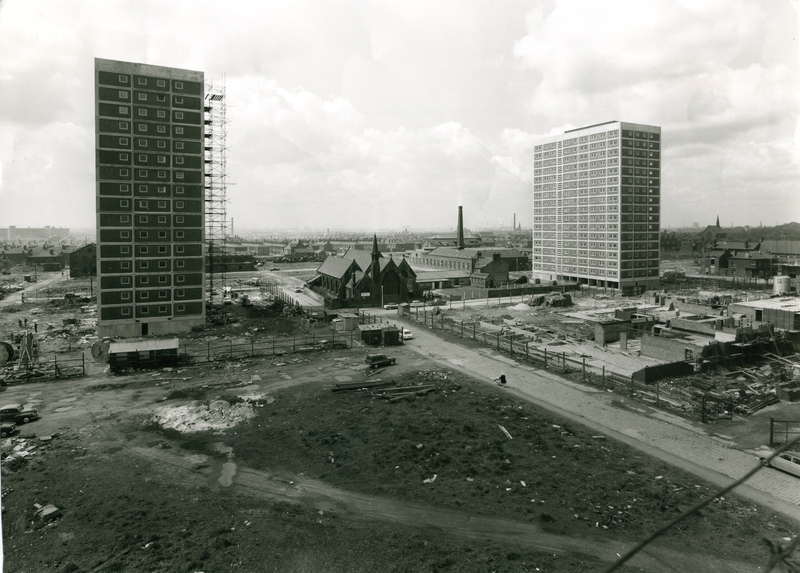 In Salford, after the first stage of redevelopment, with the construction of the John Lester, Walter Greenwoood and Eddie Coleman blocks (see image below), elements within the government felt the standard of the reconstruction scheme wasn’t satisfactory. Nationally the compromise was for Central Government to appoint “sympathetic” architects to local projects to ensure that councils retained their rates yet humane and functional redevelopments were constructed for the people being rehomed. 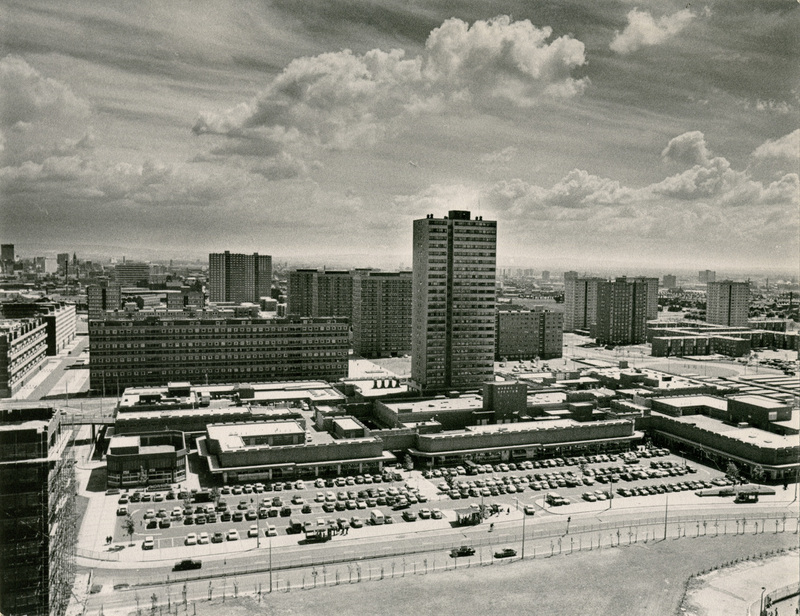 In the case of Pendleton the Council employed consultants Robert Matthew and Percy Johnson-Marshall as “architect planners” to manage the further design and construction of the redevelopment of the area. This was a national first. The plan was to replace the demolished site with a sympathetically designed modern, pedestrianised, high-density, residential area, free of industry. Housing would be accompanied by a new civic and administrative centre, complete with town hall, museum, art gallery, a public square and even a “period street”. These features were to sit alongside a multilevel regional shopping centre with the capacity to park up to 2,000 cars (4). As Chief Architect for the London County Council, Matthew was famous for his pioneering role in social housing. A dedicated modernist, Matthew felt that the modern movement “needed to go beyond the task of constructing beautiful buildings that worked well”. 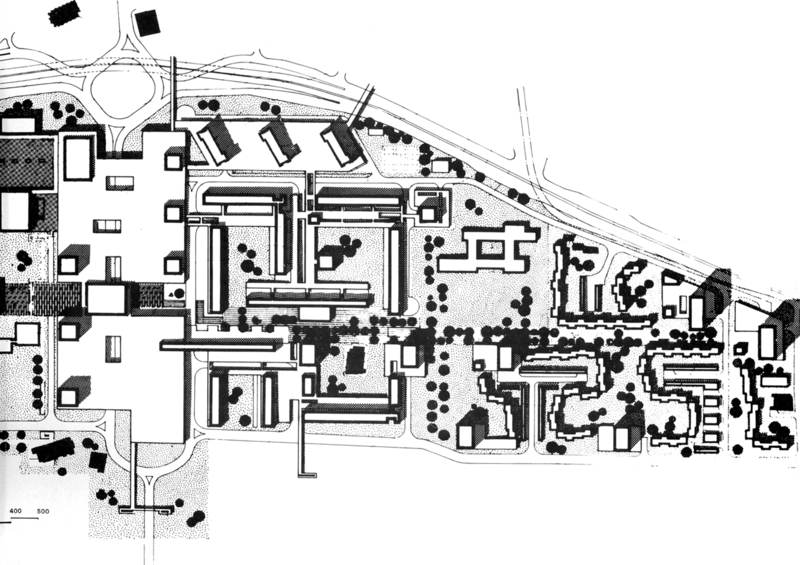 Both Matthew and his collaborator Johnson-Marshall, believed in the modernist credo, most famously forwarded by Le Corbusier in 1933, that proper planning and architecture could solve the social and urban crises that beset society (5). In Rebuilding Cities Johnson- Marshall argued for the creation of what he termed “civilised cities”(6). Like many architects of his generation he believed that lack of comprehensive planning in the past had been the main impediment to the success of the city and city life. He outlined how it was both the industrial revolution, and in particular laissez-faire capitalism, that had caused the collapse of earlier forms of urban design. The future city would be zoned for industry, work and living, with abundant open spaces in order for it to be clean, safe, functional, efficient and beautiful. Pendleton’s new estate was part of this movement. Friedrich Engels. The Condition of the Working Class in England. London: PenguinBooks, 1987, page 86. R. Nicholas and G.A. McWilliam, “Planning the City of the Future,” in Manchester and Its Region ed. Charles F. Carter, (Manchester: Manchester University Press,1962), page 262. Miles Glendinning & Stefan Muthusius (2004). 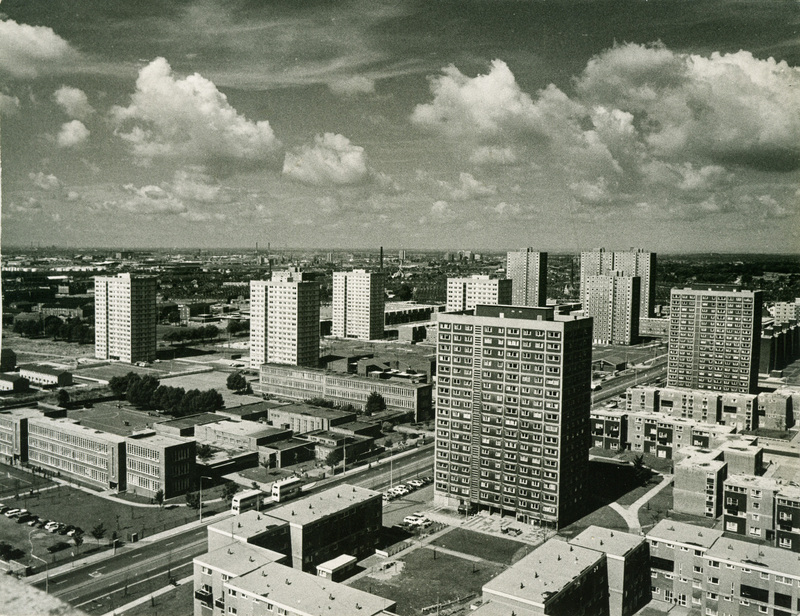 Tower Block: Modern Housing in England, Scotland, Wales and Northern Ireland. Yale University Press, Chapter 20. See Robert Matthew & Percy Johnson-Marshall. Report on a Plan. Edinburgh: Bella Vista, 1963. Percy Johnson-Marshall. Rebuilding Cities. Edinburgh: Edinburgh Uni. Press, 1966, page 349. Jane Brake & John van Aitken (2010). Fragments from a Housing Estate. In Chiara Certoma, Nicola Clewer & Doug Elsey (Eds. ), The Politics of Space and Place, Newcastle upon Tyne: Cambridge Scholars. Miles Glendinning & Stefan Muthusius (2004), Tower Block: Modern Housing in England, Scotland, Wales and Northern Ireland. Yale University Press. Robert Matthew and Percy Johnson-Marshall. Report on a Plan. Edinburgh: Bella Vista, 1963.